Let’s continue our series of articles dedicated to the spooky and the deadly, in occasion of Halloween. After an overview of this feast in Italy, some gruesome info about torture practices and places and burial habits in the country and a look at our very own spookish Fall festivities, All Saints and All Souls, it is now time to tackle a very Italian, very Catholic topic, that of saints and their relics. How many are there in Italy? Can visitors view them and what’s the story behind them? Let’s see. Italy is home to some of the most popular pilgrimage sites in Christianity, attracting millions of faithful each year. For European pilgrims, Rome was traditionally the ultimate destination, and while the Eternal City is still and important pilgrimage site, there are many others throughout Italy that are equally important and immensely popular. During the Middle Ages, Italian merchants and crusaders brought back saintly relics and objects believed to belong to the Holy Family or the Passion of Christ. Medieval Europe was also a time of great religious discovery by the holy people of the day, such as Francis of Assisi, Anthony of Padua and Catherine of Siena. During their lives, the faithful flocked to hear the sermons and teachings of these great men and women in the churches and public squares of Europe. Naturally, it did not take long after their deaths for pilgrims to start making journeys to the graves of these and other contemporary examples of Christian piety. Medieval pilgrims, eager for eternal salvation and cures for their ailments, flocked to pray in the presence of such holy relics, no matter how far or dangerous the journey. As new saints emerged and gained popularity based upon their intercessory powers, the pilgrim routes changed, leading the penitents away from older shrines and creating traditions that are still with us. The popularity of pilgrimages started to wane during the Protestant Reformation, but it never died out completely. Visitors to Assisi and Padua are sure to see modern pilgrims making their way to the shrines of these ever-popular saints. Today, pilgrims do not necessarily walk to their destination as they did in the past. They can choose to walk the route to a particular shrine or travel by car, public transportation or as part of a religious tour group. And although pilgrimages end by praying at the resting place of a saint, now it usually include visits to numerous other locations that bear significance in the saint’s life and teachings. Below are some of the most popular pilgrimage locations, associated to saints and holy shrines in Italy, outside of Rome. Assisi is the town of Saints, with three buried within its walls and two of them immensely popular with pilgrims. Saints Francis and Clare, the cornerstones of the Franciscan Order still attract thousands of pilgrims for both their intercessory powers as well as for inspiration. 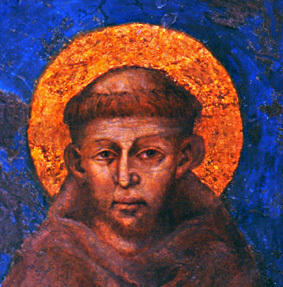 The words and deeds of Saint Francis, so full of love and compassion for all his fellow creatures, have influenced believers and non-believers alike, transcending the traditional role of a Christian Saint. By his side was Clare, a noblewoman who like Francis renounced the material world for a life of poverty, chastity and obedience in order to better serve God. There are many shrines in Italy dedicated to Saint Francis, but a pilgrimage to these two saints of Assisi can be done in and around the famous hill-town. Major sites to include in a Francis and Clare pilgrimage include the Cathedral of San Rufino, where Clare and many of the early Franciscan brothers were baptized. The Convent of San Damiano, once a ruin, was where Francis was called upon by God via a crucifix to “build up his house”. 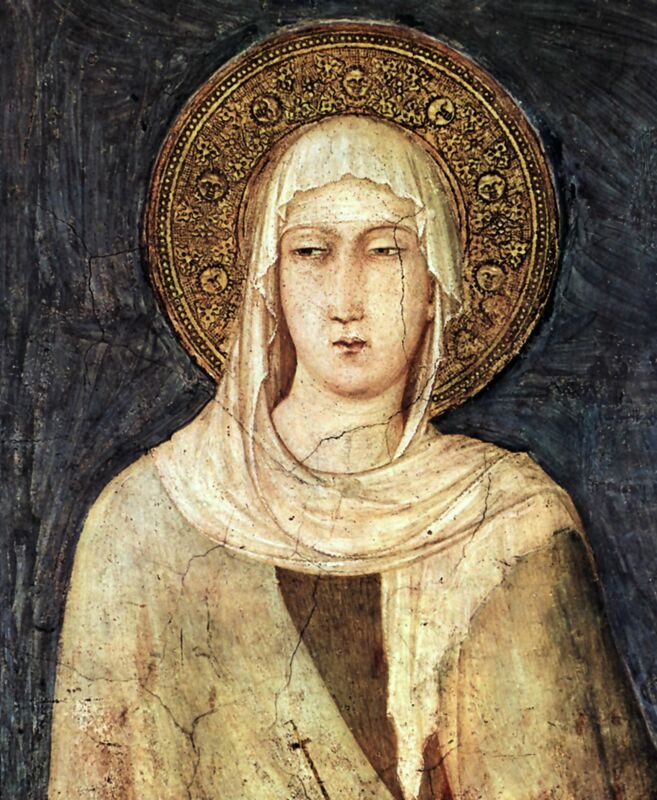 After the restoration of the church, Francis had Clare and her “Poor Ladies” use San Damiano as their convent. Below the hill of Assisi, lies the massive Santa Maria degli Angeli, which houses the location of first Franciscan monastery. The church encloses the Franciscan’s original chapel known as La Porziuncola in which a plenary indulgence (forgiveness of sin) is offered to any pilgrim who prays in the simple stone structure. The ultimate destination for pilgrims to Assisi however is to pray at the graves of Saints Francis and Clare. Francis is located in the crypt of his beautiful namesake basilica in Assisi in a stone coffin surrounded by his early Franciscan brothers. Across town lies the Basilica di Santa Chiara, home of Francis’ miraculous crucifix, headquarters for the Poor Clares and site of the saint’s tomb. Besides the bodies of these saints, the two basilicas also house numerous personal relics such as their humble clothing and a lock of Clare’s hair. These second-level relics are on display in the church museums and also brought out for the faithful to see during special masses. Be Sure to continue to Part II of this article!